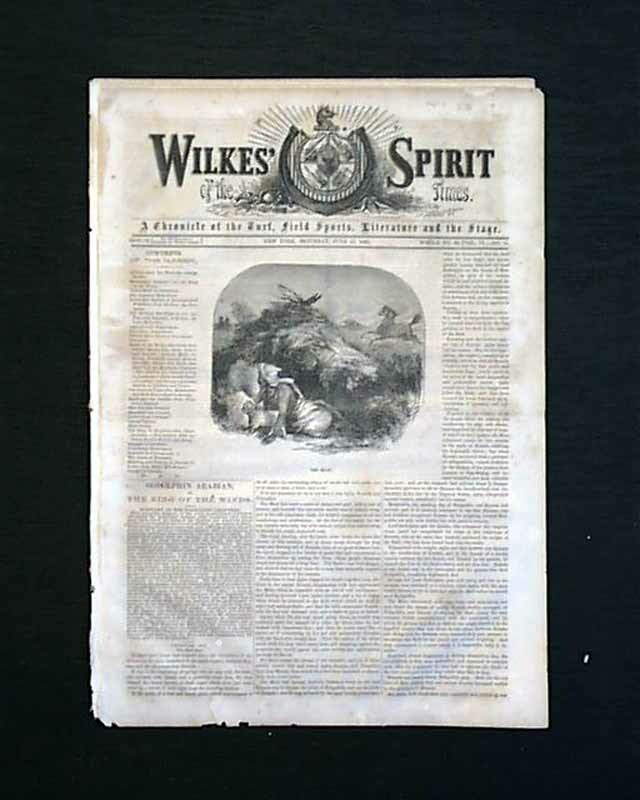 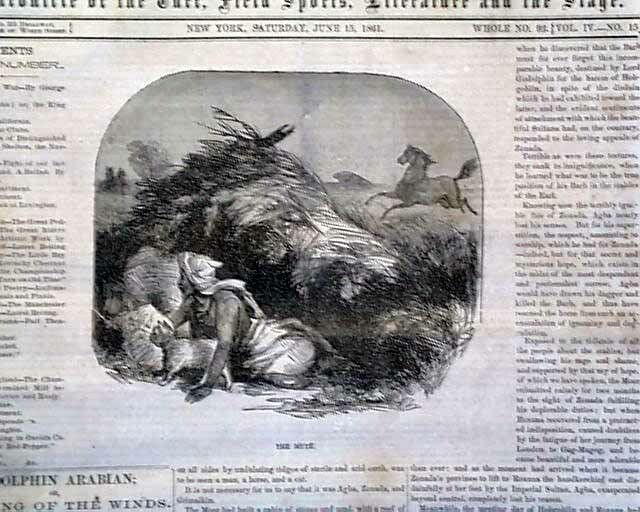 WILKES' SPIRIT OF THE TIMES, New York, June 15, 1861 The front page of this issue features an illustration captioned: "The Mute", which actually pertains to the accompanying story: "Godolphin Arabian or The King of the Winds". 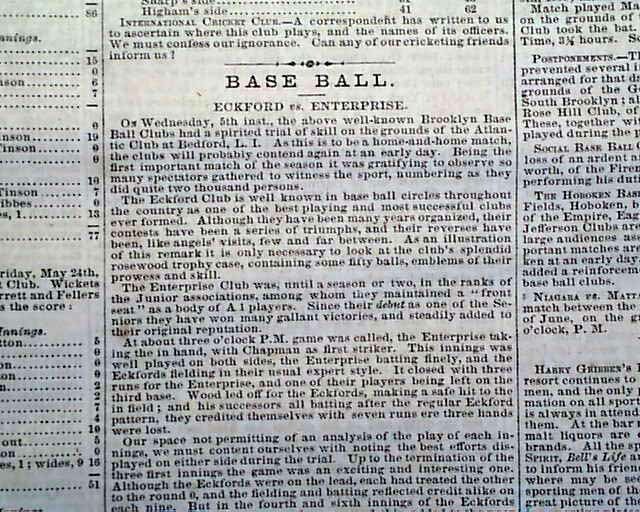 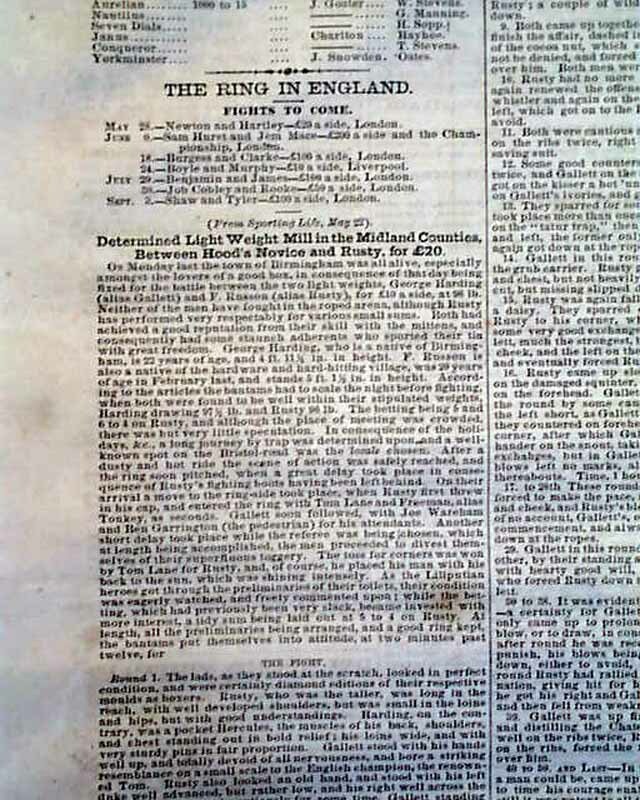 Page five of this issue includes a rather lengthy article concerning baseball entitled: "Eckford vs. Enterprise", which contains an accompanying box score for the game. 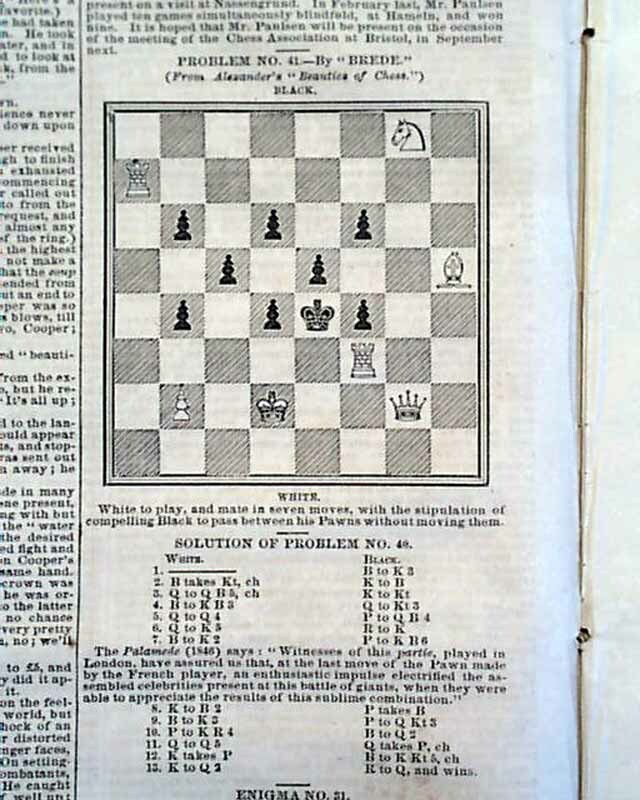 Another article found within this issue and entitled: "Our Chess Department" includes a "problem of the week" and the answer to the previous weeks' problem. 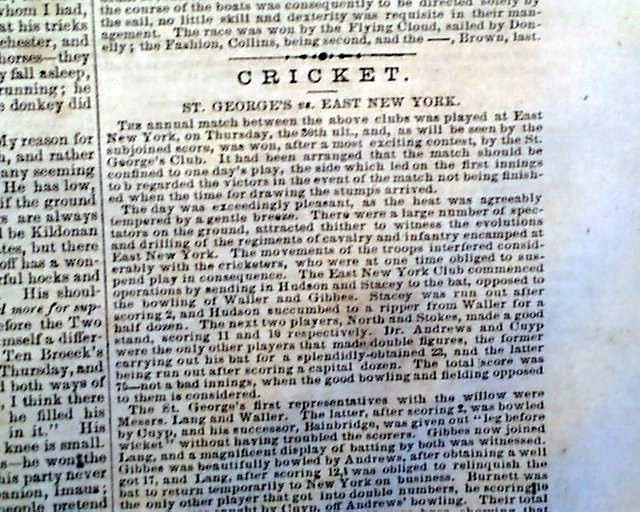 This 16 page issue also includes some Civil War reports as well as other sports items, including boxing, horse racing, and cricket. 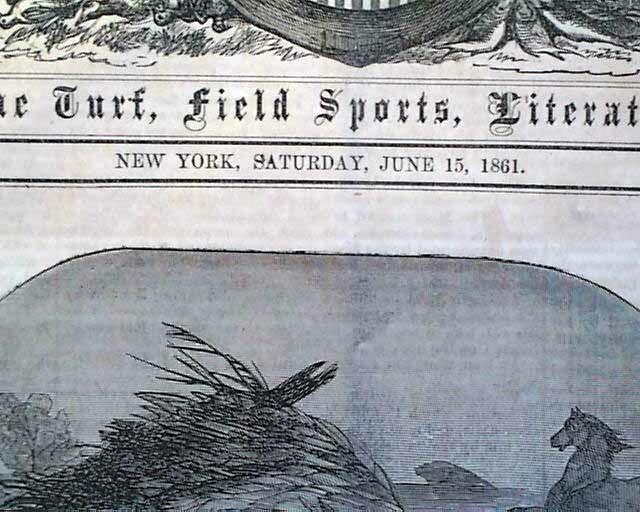 Although this issue is in nice condition, some small spots of dirtiness can be found on the front page, in addition to several tears throughout.